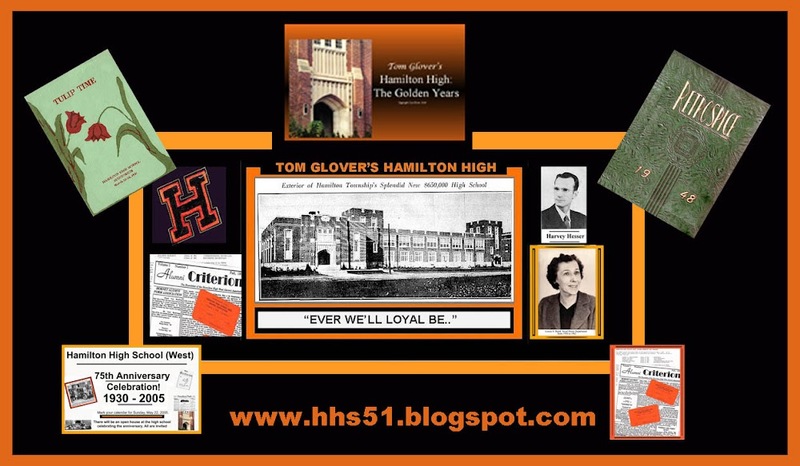 1951: HHS, "The Class With Class" ANNOUNCES OUR 60th! Unfortunately, there are pitifully few senior citizens who are on the web. 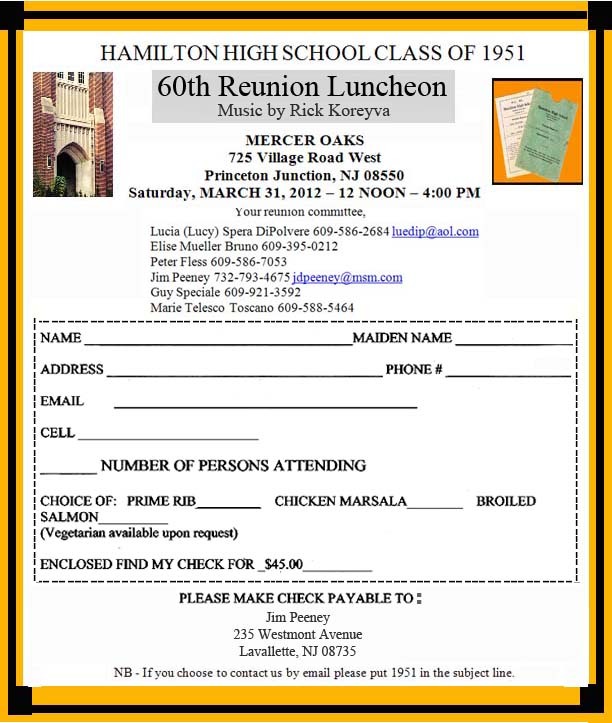 However, for those who are, here is the announcement of next month's 60th reunion luncheon for my Hamilton High class of 1951 reunion. 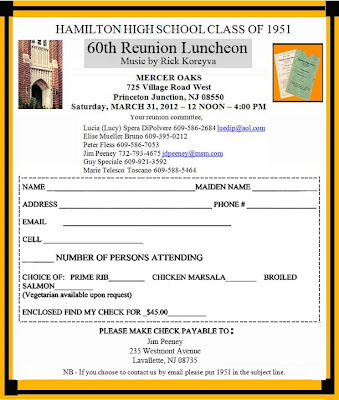 I look forward to seeing many my old classmates. If you are a member, print out the graphic above and mail the form to Jim Peeney. REMEMBER TO RIGHT CLICK ON THE GRAPHIC, CLICK "OPEN IMAGE IN NEW WINDOW," THEN CLICK ON THE MAGNIFYING GLASS.